Awesome! Everything you create is fantastic! I don’t blame you…I love it myself!! But so will he…. This is fantastic! I LOOOOOOOOOOVE it! Wow, these are so cute, love them!! I agree everything you create is amazing!! Congrats on being the featured stamper, very deserved!!!! Very cute!! Little boys are a challenge to stamp for — this is definitely a winner. Thanks for sharing!!! This is super cute Mary jo!!! 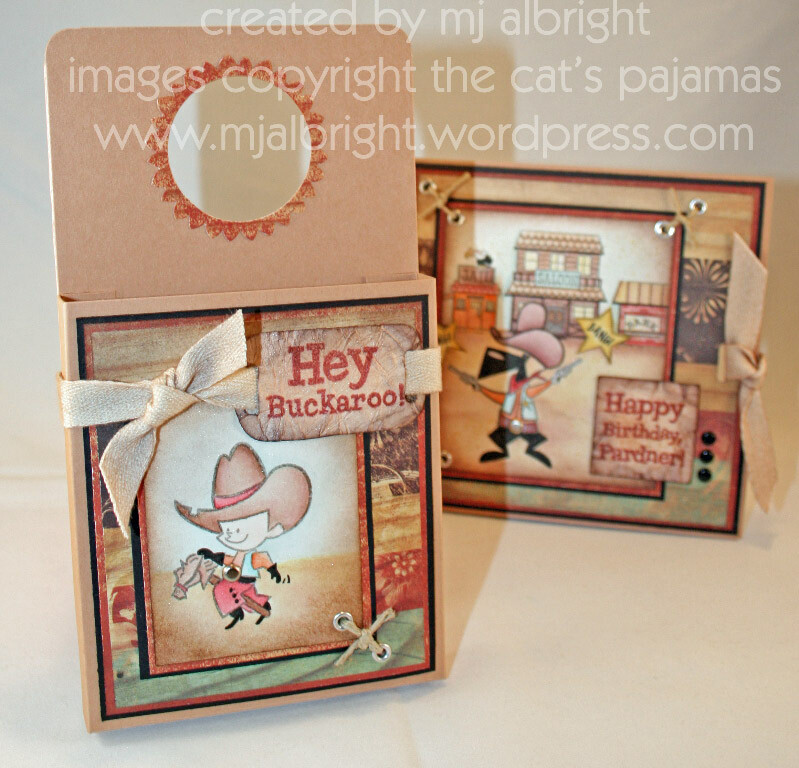 LOVE both the card and box, LOVE the patterned paper and the images are just adorable! He will LOVE both! what very special treats for the birthday boy! who cares what goes inside the pouch?! 😉 it’s so darling all on its own!!!! I would want to grab that back too! LOL The set is absolutely adorable, MaryJo! Those are the cutest cards I’ve seen in a while!!! WTG! I just can’t get over how fabulous your work is. Amazing. yes, yes — get it back, then send it to me!!! : ) These are amazing, MJ!!!! Love ’em! Awesome, all this work for a 3 year old, Wow! I love your blog and all of your projects! I will be returning often. Thanks for sharing your wonderful ideas. GORGEOUS coloring MJ!!! This is just the cutest thing ever. I love how you used the eyelets in the corners! Very cute idea.